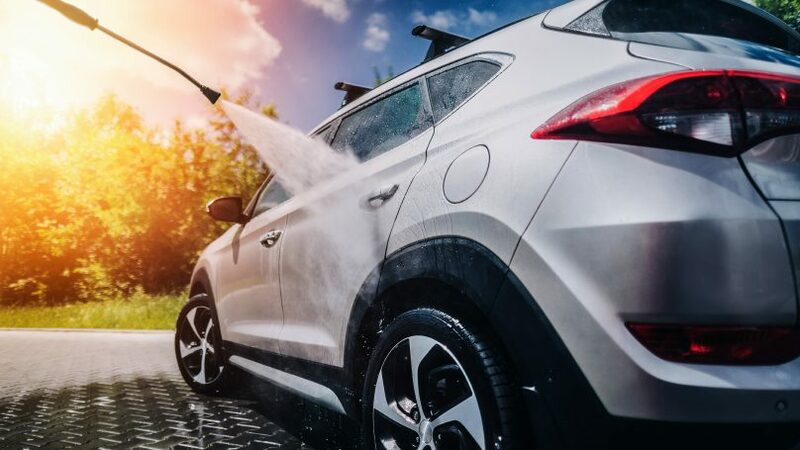 Whether you bought your car for commuting, business, or pleasure—most agree that keeping it clean can help extend the life of the car and avoid unsightly and damaging rust. Cars cost us a lot of money. They are expensive to buy, run and maintain. For most people it’s the second most expensive purchase they make after a house—unless you are the type that doesn’t mind living in a Ferrari. Whether you bought your car for commuting, business, or pleasure—most agree that keeping it clean can help extend the life of the car and avoid unsightly and damaging rust. Living in the great white north, rust is an all too common issue and can become such an expensive problem to fix that in many cases buying a newer car is likely a better option. Another commonality of living in the rust belt, is finding a myriad of products and services like rust-proofing where techs drill into your body work and spray in an oily tar like substance. The truth is that these services are not cheap, some cost upwards of $500 and require yearly maintenance, and if not done correctly (it isn’t in many cases) it can be worse than having done nothing in the first place. Besides most cars today leave the factory seriously well protected against the elements and don’t rust like they used to. It’s not that I’m against rust-proofing but in my experience hand washing your car on the regular is usually all the protection it needs, and while it might not be as easy as getting someone to oil spray your car—it’s much cheaper and can be very rewarding. It also helps the car lover bond with their ride (or maybe that’s just me). The following is a break down of how I regularly wash my car to help keep it looking like new. In one of the buckets pour 2 capfuls of Foaming Car Wash, and fill with 10 Litres of water. Fill the other bucket with clean water. This will be your rinse bucket(more on this later). A quality car shampoo like Autoglym’s Foaming Car Wash is pH neutral and will not strip the clear coat and previous finishes on the car. A major culprit I’ve heard people using is dish soap, which will quickly dull that shine—it’s harsh and is better used for stripping grease on your dinner plate. 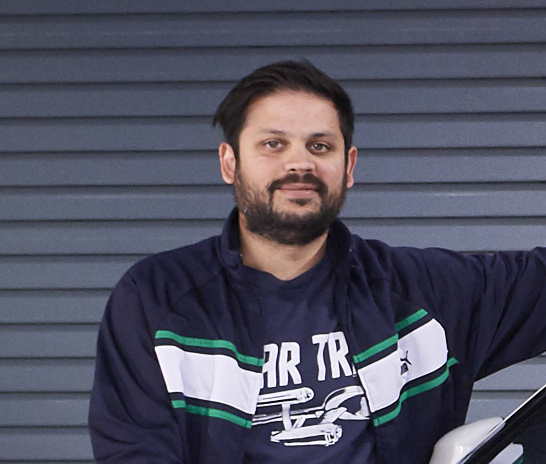 Thoroughly spray the car with the hose starting from the top and working your way down. Make sure to get the wheel wells and suspension and finish off by spraying the under body. Canadian road works are notorious for their generous use of road salt, which can be very damaging to most cars, and that salt finds its way into all the nooks and crannies on a vehicle’s underbody. Spraying it down on a regular basis is good insurance against underbody rust. 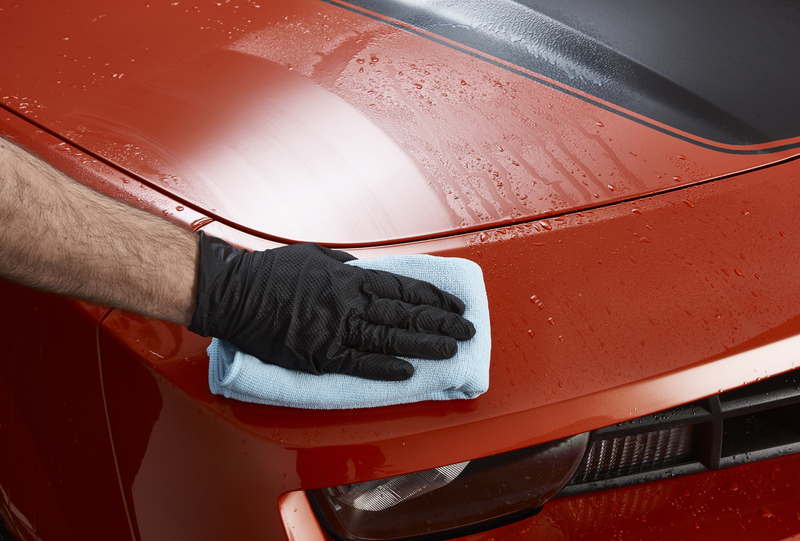 Now that the vehicle has been rinsed, grab that wash mitt give it a good rinse with your hose and soak it in the bucket of Foaming Car Wash. Start lathering the car beginning with the roof and work your way down to the hood, trunk, windows, fenders and doors. 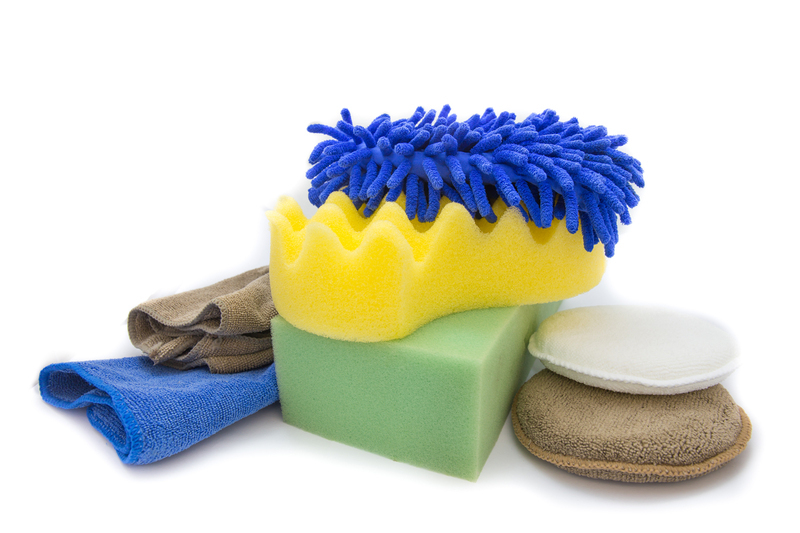 Make sure to wash the car one section at a time, work quickly so the shampoo does not dry on the body. Use that second bucket of clean water to rinse your mitt between sections. This allows all the dirt and debris trapped in the mitt to sink happily to the bottom of the rinse bucket and not in your clean soapy water. Constantly rinsing the car as you go is good practice. Another important point to mention when lathering the body is to work your mitt or sponge in straight lines rather than circular patterns—something that is all too common. Swirling and twirling that mitt over the body of the car no matter how lush its pile is a sure fire way to cause paint swirls. Those dreaded swirls are the quickest way to dull any finish. Wheels collect a ton of grime and all that acidic brake dust can eat through the clearcoat on the wheels if not cleaned regularly. I highly recommend a second wash mitt or sponge for this. Some wheels with multiple tightly placed spokes require a special brush to really get all the grime out. 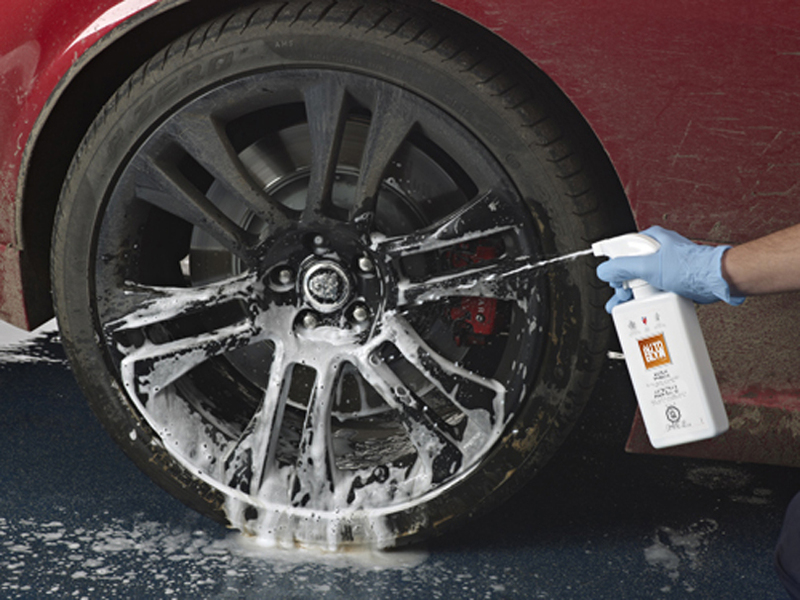 A dedicated wheel cleaner like Autoglym’s Clean Wheels is a great option for cutting through that tough brake dust with minimal effort, and is safe for most wheels. The final and probably least fun part of the wash is the drying. There are many different ways and practices for accomplishing this, which I am not going into, but the most common are simple micro-fibre drying cloths or a good chamois. A quality wax helps protect the finish against the elements but can easily add an hour to the job—not to mention being tough work. 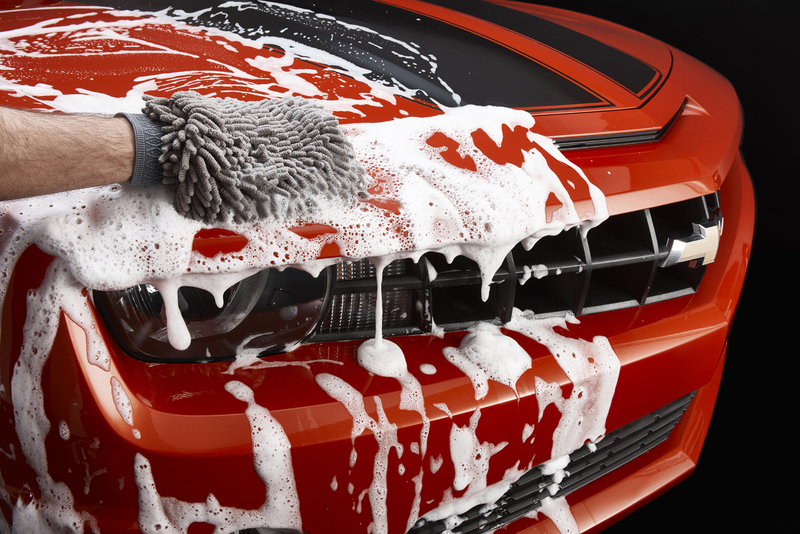 A quick and effective option is Autoglym’s Aqua Wax that is applied while the car is still soaking wet. It comes in a convenient spray bottle and doesn’t take any effort to cover the body and the glass. Once applied, the wax can be spread over the surface with a micro-fibre cloth—essentially drying and waxing at the same time. A final buff with a clean dry micro-fibre will bring out a brilliant shine. These types of quick waxes save time and can offer a similar finish when compared to a traditional hard wax. Now that you’ve washed, dried and waxed your ride, step back, give yourself a pat on the back (and by that I mean grab a beer) and admire your hard work. 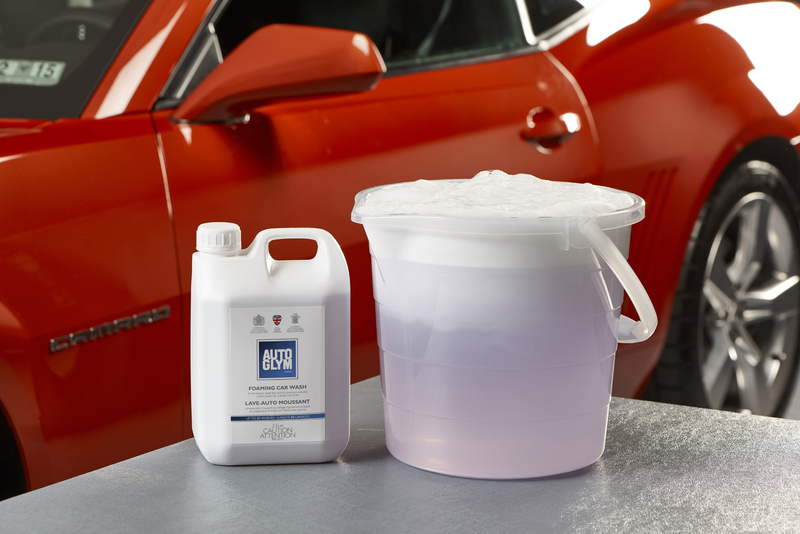 Autoglym has been in the car care products business since 1965. Hailing from Great Britain, and now sold in 50 countries worldwide, their passion for perfection is seen through its award winning products and constant innovation. It’s this dedication to quality that has earned them Royal Warrants from the Queen and the Prince of Wales making them exclusive suppliers to those royal households. 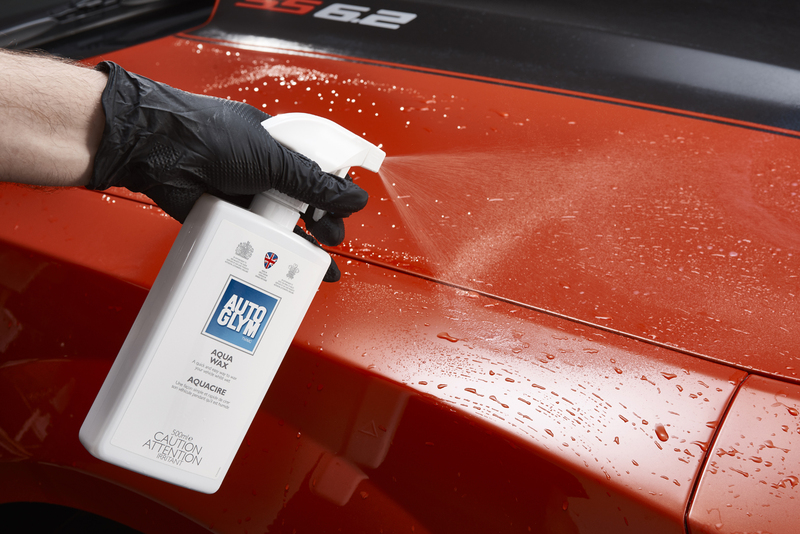 Sold exclusively at Canadian Tire stores across the nation, Autoglym brings a bit of Great Britain’s motoring passion to your garage.